It was a siege that forever changed the way governments dealt with terrorist situations, and now it’s a film reviewed by SHELLEY SWEENEY. I’ve never played chess in my life. It’s something to do with being the youngest of four children. Pre-schoolers don’t have the time or the temperament for rules. If chess is all about thinking ahead of your opponent, then being pitted against terrorists with hostages is a nail-biting game. Director Toa Fraser (No.2 and The Deadlands) grew up in Auckland where this film was partly shot. Fraser says he was attracted to this project by “the genuine struggle between those that fought to negotiate a peaceful solution, and those that fought very efficiently for the opposite”. It’s this focus that gives the film more drama and less action than expected. The film is based on the real life events that occurred at the Iranian Embassy in London in 1980, when six members of the Democratic Revolutionary Front For The Liberation Of Arabistan stormed the Embassy and held 26 people hostage for six days. They demanded the release of Arab prisoners in Khuzestan, as well as their own safe passage out of the United Kingdom. Margaret Thatcher was prime minister, and while the world watched, her decisions set a global precedent for how terrorists are dealt with today. The police are the first on the scene, followed closely by the journalists. Thanks to the convenience of British terraced housing, the police are able to set up a surveillance team complete with cameras and recording equipment in the walls. The British Government’s Emergency Committee, code-named Cobra, oversees the operation. They make the decisions on how to proceed under Thatcher’s iron-fisted guidance, although we never actually see her. At times this all feels a bit too much like a re-enactment and the film is let down by the lacklustre portrayal of the journalists at the scene. Abbie Cornish plays Kate Adie, the BBC journalist whose groundbreaking reportage of the siege lead to a career as a legendary war correspondent. Sadly, Cornish’s portrayal of Adie is very wooden. The scenes outside the siege with journalists have about as much energy as a group of cinema goers munching on popcorn. This is where the film loses its tension. 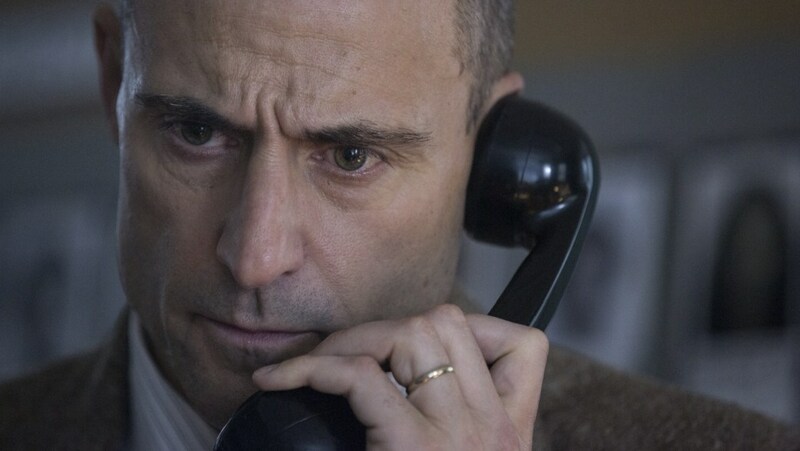 Mark Strong puts in a memorable performance as the heavily burdened police negotiator. He has little more than experience and his cool-headed wits to get him through. He offers the terrorists food and the takeaway is delivered through the window strapped to the end of a boat paddle – a solution as makeshift as the situation itself. The negotiator develops a rapport with one of the gunmen, and genuinely wants a peaceful resolution. The Cobra team has another trick up its sleeve though, in the form of the SAS. While the negotiator stalls the gunmen, two SAS teams are training in different scenarios to rescue to hostages and take them down. Cobra has made it clear that the gunmen will not be leaving the UK under any circumstances. 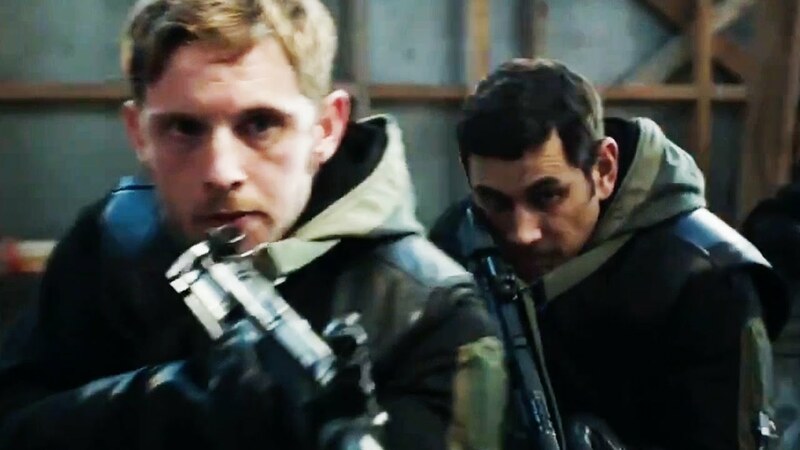 The star of the SAS team is Rusty Firmin, played brilliantly by Jamie Bell of Billy Elliott fame. He ends up leading the team but the head of the operation has concerns about his reputation as a drunken brawler. He also has a gift for strategy and comes up with many of the ideas they need to storm the embassy. In the end, the powerful performances from Strong and Bell bring the film to a masterful conclusion and leave you wondering just how peace can ever be possible without violence. With a film and television career spanning nearly two decades, Shelley Sweeney has been from Auckland to London and back again. She has written and edited online for the BBC, SKY, MSN, Rialto Channel and a bunch more. She’s interviewed Hollywood stars on the red carpet, and lived the life of a film obsessed junket journalist. Shelley is currently relishing the freedom of reviewing for Witchdoctor.